DEFENDERbyKarpel will leverage existing case information already entered to build out documents such as, letters, motions, subpoenas and pleadings, standardizing how every document flows out of the system in a consistent format. With DEFENDERbyKarpel document generation, staff can be more efficient in the preparation of their documents so they can spend more time on the factual content of their court filings and less time worrying about captions, headers, “canned” language and footers. 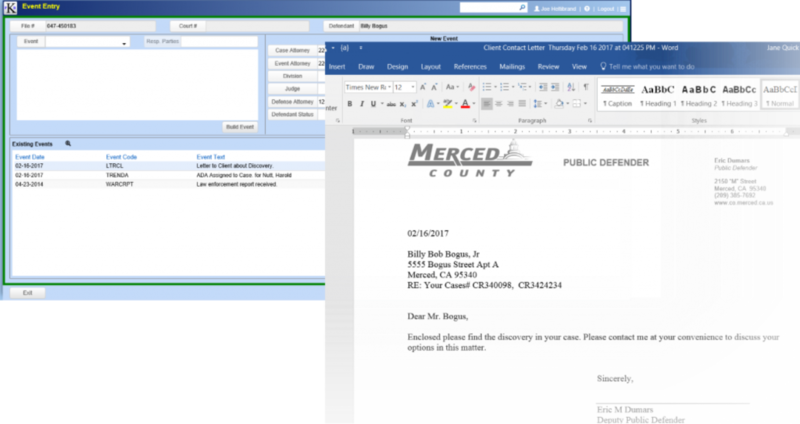 DEFENDERbyKarpel is fully integrated with Microsoft Word, utilizing the tools and features of Word Mail Merge to easily generate documents for one case or multiple cases at the same time. The Mass Document Generation feature has the ability to generate court notices, client letters and correspondence on multiple cases without going into each individual case. Efficient legal document generation and document management solution.